The Overall Boys in Switzerland. New York, Chicago, San Francisco: Rand McNally & Company, (1916). ￥5,000 (税込み) 19.9 x 15.7 cm. 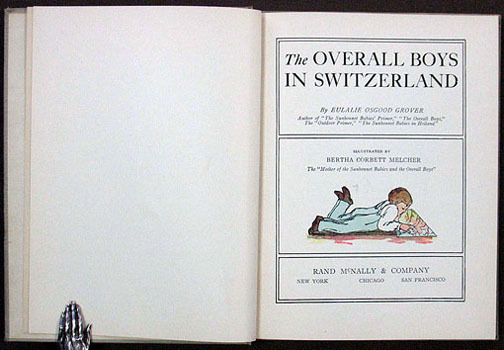 160 pp., with numerous color illustrations. Pictorial cloth in yellow, blue and black, occasional soiling.